Season 112 - Are you ready? Thread: Season 112 - Are you ready? Thanks to all returning Managers! and a big Welcome to all the new Managers! What have you learned from last season? Where did you place last season? Are you participating in the Association's Cup? What are your achievements in your Association? What's your budget for this season? Who do you want to replace? Which will be your main formation? Good luck to everybody this Season! * At the end of the season we will chose between all comments 3 winners of 50Tokens. khris, Hunter and dsio like this. The target of previous season was the treble but I failed, loosing the two finals at penalties (same 2-4), from the same manager (with 15% lower quality). Maybe I wasn't good enough. It would be my pleasure to congratulate him but he wasn't present in any of the games (as in his semis). Bad luck or coincidence ? I don't know. We are in CH.L. again this season, so will see. Van Nistelroy in a great shape, won the top scorer title. Our asso stayed in gold. IImaestroII, khris and dsio like this. My fellow token buyers were either in the same league or cup and CL competitions. This season expect the same - we are in the cup and CL competitions and shall wait for the league draw. Not buying atm . Happy with my current team since season 2. Desert Rats FC pre-season review. Desert Rats start their 37th Season at Level 30, having only won the League Championship last season, a big disappointment for a team which won 24 out of their first 25 matches and looked odds on for a treble. A Round of 16 defeat by a -16%Q side in the Champions League was the 'highlight' of a terrible middle season weekend, when the side lost twice and drew in the League, and lost at home in the 1st Leg of the CL. A 4-2 win in the return Leg away gained a modicum of revenge but the Rats still went out on aggregate. Later in the week, a -1 Level, -21%Q side were the visitors in the 1st Leg of the Cup Semi-Final, they took an early lead and consolidated it late in the first half. A switch to hard attack and a couple of substitutions were the key to a late comeback which resulted in a 3-2 scoreline for the home side. The 2nd Leg was more of the same, but there was no comeback this time as the opposition won 4-1 to qualify for the final with a 6-4 aggregate. In the League, a first match defeat by one of the other three 'big hitters' was followed by a series of wins ended by a 0-4 defeat at the hands of another of the top sides, at the start of the 'middle weekend of grief'. 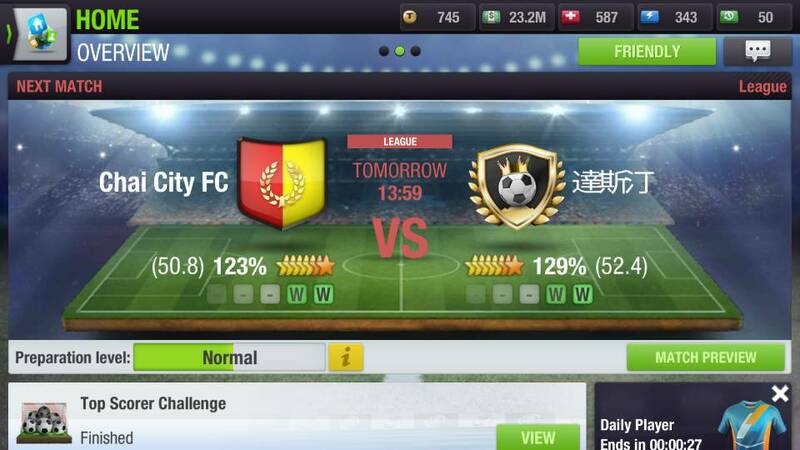 Desert Rats then embarked on another sequence of wins to keep in touch with the top sides, and once the end of the season approached and the other contenders started taking points off each other, the Rats closed the gap and edged the League title with two wins over their closest rivals. 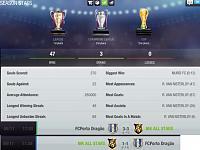 This season, the team are at Level 30 in the League, and have Champions League and Cup competitions at Level 30, with a few Level 29 teams included. The playing squad at the moment is the same as that which finished last season. At the moment the Management is happy to leave any new recruitment until the full makeup of the League is known. khris and Hunter like this. That 800 tokens in the personal trainer to have x2 9*'s can give you a cup title. Are you participating in the Association's Cup? Yes, with the OMA buddies. What are your achievements in your Association? 60th title won this weekend, we stay in gold 1, trying to play light and winning 50T per season each. What's your current level? 36 with the main team, FCBayern München, season 77. What's your budget for this season? I don't know. What are your goals for this season? stay in gold 1 with the asso mainly, play more or less depend of the time and maybe I will wait till the new version launchng. What's your training level? max. 91. A: Gold 1 and almost finishing in platinum! Just short of 26pts to get promoted to platinum. Frustrating! Last edited by Aku Papua; 11-11-2018 at 03:35 PM. 1.: What have you learned from last season? Not only from last season but from the 1st season i joined. If you want to keep up with the main men on your level you have to cheat. I'm a honest player or i was but if nothing is going to get done about certain things on the game you might aswell join in and cheat with them. I've Tanked my team to make it healthy for the following season to compete with the other cheaters on my level. 2: Where did you place last season? I had the best squad in my league but i purposely finished 14th of 14 and i put all my effort into losing games especially against the other 4 tankers in my league. 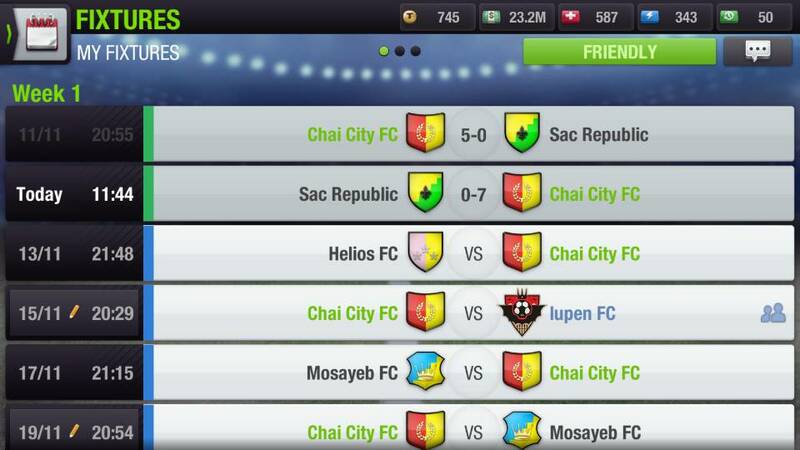 I also played my strongest team against the player in 1st place in my league (as someone did to me last season) I won both Games which probably made him lose the title. which i didn't mind as he tanked the previous season to get to that 1st position it also meant the league was won by someone who was honest who previously finished 2nd the season before so was happy about that. 3: Are you participating in the Association's Cup? Yes i am, and again my group purposely lost the last weekend of fixtures so we didn't join the dark side of the game in getting promoted to platinum status. 3: What are your achievements in your Association? We were 1st in our first 3 weekends and deliberately lost our last to stay in Gold 1. 4: What's your current level? 5: What's your budget for this season? Not Much as i tanked my last season so i don't need to do any work my team has got stronger and stayed the same for finishing last. 6: Who do you want to replace? Nobody this season my team is in a healthy state due to tanking. maybe i can add a few fast training youngsters who i can train up for when i tank again. 7: What are your goals for this season? To win everything as my team is very strong with me not promoting meaning all the honest playing people have to build their squads again to compete with me as i cheated a season. 8: What's your training level? It's complete and has been for a while. 9: Which will be your main formation? I am also looking forward to this season as i have nothing much to do to my team due to my cheating. read into my post t what you like but I'm only doing what other people are doing and if it's good enough for them it's going to be now bloody good enough for me. sick of moaning about it so i might as well just join them as nothing is changing. Last edited by Siddas; 11-11-2018 at 08:59 PM. khris, po_zdrach and samreo like this. 1. What did you learn from last season? If you want to make a climb up the associations ladder, make sure to keep the average quality down so you do not play against 7* competition. Lesser 7* competition shows up, 5*/6* competition has a tendency to not attend matches (even in platinum). Shows up in margin of victory. After the 1st tournament we were 45 points outside top 100. We won the final three tournaments and finished the season 58 points outside the top 100. 2. Where did you place last season? 3. What level are you? 4. What is your budget for this season? 5. Who do you want to replace? 6. What are your goals for this season? 7. What will be your main formation? I'll go 4-2-3-1 as a base formation. Before the season starts, my fellow token buyer is in the same league with me.